The video above was made available to the New York Times. The murder took place in North Charleston, S.C. The officer was charged with murder on Tuesday after the New York Times immediately released the video that is catching fire on social media. 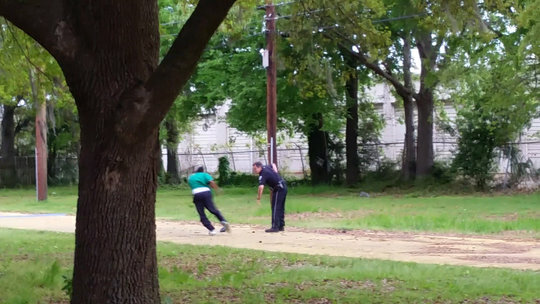 Officer Michael T. Slager allegedly claimed he ‘feared for his life’. The video shows the officer in clear control of the situation, striking a casual pose as he fires off 8 shots that strike and call a black man who was trying to flee for his life. Current South Carolina law allows the death penalty. Prosecutors should definitely consider this option if the officer is found guilty of the accusations. A political official who is entrusted with such authority as to fire a weapon on a citizen must face a punishment fitting the crime for abusing the trust the public bestows upon them.